I met Tina from Mollimoo through her folksy shop, but she can be found all over the place - as we shall see! I discovered Folksy last October whilst browsing other people's blogs. 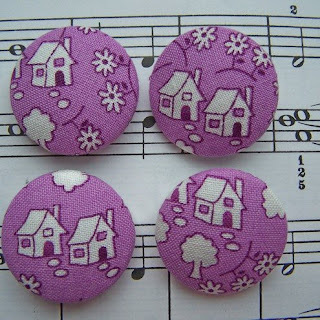 I love making fabric buttons & thought what a great place to sell them! What I especially like about making buttons is hunting for unique, vintage fabric from thrift shops & giving it a new little life. 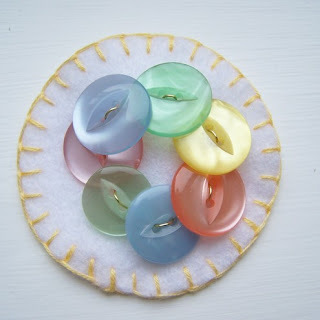 The thought that some of my buttons will then go on to embellish someone else's project or even just end up in someone's treasured button collection is wonderful. I'm working on adding brooches & knitted items to my shop as my first love is knitting. I also sell on Coriandr. 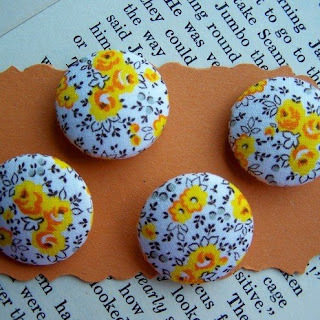 My favourite buttons are the vintage yellow rose buttons. Someone had made this fabric into a side board cover with lace around & it had ended up in a thrift shop. It is so dainty & pretty! The most useful lesson I've learnt is that you have to constantly produce new items to list & sell....obvious, I know! I've also learnt that you have to put yourself out there to get noticed by joining different groups, forums & blogging. I would not spend so much time browsing at everyone else's beautiful products all the time. I did it so much at the beginning that it, quite literally, frightened me! I felt so intimidated at the great quality & originality that it made me have a mental block. Now, I just get on with it. Well, I plan to broaden the range of what I sell. 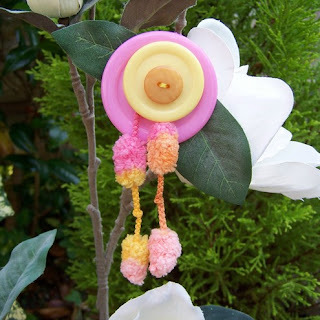 I am working on brooches, knitted items, pin cushions, drawstring bags & plushies. I just need to find more hours in the day to make them all! The school run. I have 2 children, 5 & 2. It's not easy making items when you are cooking, dressing, bathing, feeding, playing & organising....I do love it though. Professional looking photos are important. Blog regularly, dress up your shop & blog in a distinctive, pretty way. Put yourself out there & don't be shy. Network as much as you can. Always believe you are good enough. Thanks Nifty, that was interesting finding out a little bit more of Mollimoo. 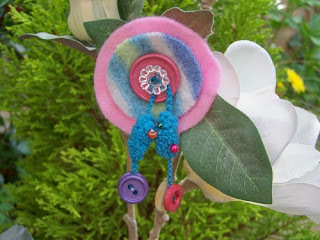 I'm a big fan of her craft work & she is also one of the friendliest craft folk around too! A lovely and enjoyable interview. Sweet and very pretty work, light and feminine; liking it very much. That was a fab interview and lovely photos of Mollimoo's items as usual.